Urban art or street art has been flourishing in France since May 1968, but it is in the early 80’s that the movement is formalised. 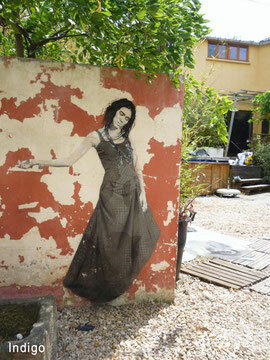 Recently, renamed street art, urban art is an autonomous movement, not to say parallel to the tag and graffiti movement. Urban art must be understood as a dialectical relationship between street art and land art, it plays with its environment and position itself today as the greatest art movement of the 21st century and one of the first international art movements. The artists share an urban activism. The main difference with traditional graffiti is that artists don’t use always letters (as in American writing) and the spray can. 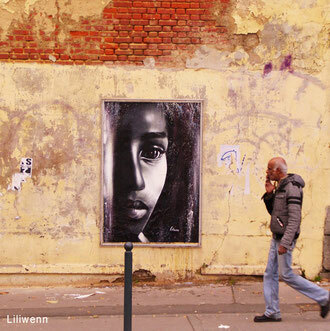 The purposes are divers: show a name like a writer, or an image in the case of street art. Posters, prints, stencils, stickers, pictures, installations, techniques are numerous and goals are varied. Any technique consisting in displaying an artwork in a militant way or simply for free in the urban space can be identified as street art. 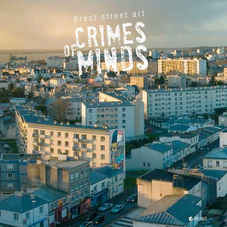 The aim of this project is to push the boundaries of street art to eventually be integrated into contextual art. The artist works directly on the ground of “reality” bringing his world to it. The artistic expression will even be exposed in the heart of the city directly touching the public. Paul Ardenne (author of “A contextual art”) expresses it very well. Art has accustomed us to giving itself away in a canvas format, confined in smalls and closed spaces. Nowadays it releases itself from its chains, plays directly with the surroundings, appropriates them, draws its essence, and is inspired by them and represents them differently. Art urges us to look in specific places, enclosed by high symbolic barriers such as museums or galleries. As Dennis Oppenheim said (an American contemporary artist), one of the main functions of artistic commitment is to push the boundaries of what can be done and to show others that art is not only the manufacturing of objects to be placed in confined spaces. There can be a valuable artistic relation to explore with what is outside the galleries. Based on exchange, sharing, by interacting directly with the viewer, this art has an extreme energy, strength and overpower. The point here is not to deteriorate but, instead, to embellish, emphasise a place, a site, give it an expression, a life and make it available to all. The emergence at the beginning of the 20th century of an art of intervention, which uses freely the public space, is not a coincidence. It corresponds to a double feeling. On the one hand, creation is cramped in a studio, a place less and less representative of a modern creation which wants to capture the real world, suitable to occupy the space in its entirety, without restriction. This is the entry in the era of the “studio without walls”, as Jean-Marc Poinsot put it so well. On the other hand, a doubt is expressed about museum art, which is restricted to the elite or conditioned by complex aesthetic criteria, that prevents cultural access to the general public. The aim of this project is to transform the city into a huge and alive canvas without any elitist criteria, placing it within reach of all in a cosmopolitan way, basing it on an international and therefore cultural exchange. Most of the guest artists have exhibited in the most beautiful galleries in the world but have not renounced sharing through urban art and its expression. We have never seen so much diversity as in the street. And when it is testified, highlighted, put forward by art, people, thoughts, opinions, emotions… all is expressed. This diversity is so rich that it brings us back to basics.